As stakeholders in the financial services sector and the telecommunications industry are pushing ahead with the plan to ramp up financial inclusion in the country, agent networks are gradually gaining traction. The expansion of agent networks nationwide has been identified as critical to driving financial inclusion, as seen in other emerging economies such as Bangladesh and India. Agents – particularly cash-in/cash-out agents – act as the entry point for financial inclusion and facilitate the crucial conversion between cash and digital money, according to the Central Bank of Nigeria. Across the world, agents have played a vital role in offering many low-income people their first-time access to financial services. “Agent networks present an opportunity to service people in areas that lack bank branches or other physical financial access points like Automated Teller Machines. Consequently, a functional agent network is imperative for extending financial services to the unbanked. However, deficit of fixed location agents has been a challenge,” the CBN states in the exposure draft of the ‘National Financial Inclusion Strategy Refresh’ report. In 2010, Nigeria made a commitment to reduce the adult financial exclusion rate in the country from 46.3 per cent to 20 per cent by 2020, and the National Financial Inclusion Strategy was launched on October 23, 2012 in order to attain the target. 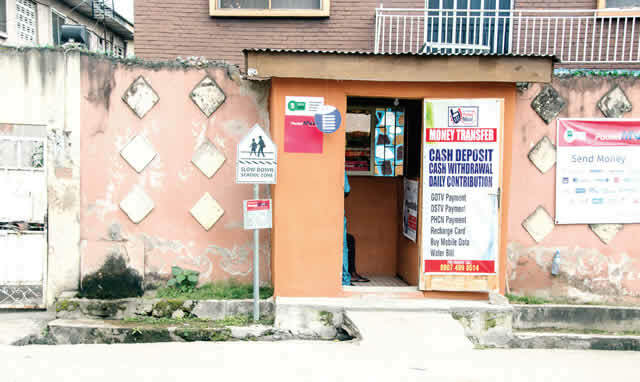 The 2012 NFIS defined financial inclusion as “when adults in Nigeria have access to a broad range of formal financial services that are affordable and meet their needs,” and set out the target for overall financial inclusion at 80 per cent, with a long list of more detailed targets, recommendations and an implementation plan to achieve the goals by 2020. To attain the financial inclusion target by 2020, there must be 62 agents for every 100,000 Nigerian adults, according to the CBN. “Currently, there are only 28.2 agents per 100,000 Nigerian adults. Issues around profitability of agent networks, agent fee structure and other environmental issues have contributed to this gap. A deliberate effort needs to be undertaken by stakeholders to address policy-related bottlenecks and rapidly deploy agents,” the apex bank says. Mobile money operators such as Paga have helped increase the number of agents in the country despite the challenges. The Managing Director, Paga, Mr Tayo Oviosu, in an interview with our correspondent, stresses the need for more agents in order to enable more Nigerians access financial services. “I think that is the first thing we need to do in Nigeria. How do we scale the network of agents to every community across this country?” he adds. As part of efforts to enable the rapid growth of agent networks, the Shared Agent Network Expansion Facilities plan was developed by stakeholders. The CBN, Deposit Money Banks, mobile money operators and super-agents designed SANEF, which entails an aggressive rollout of a network of 500,000-agents to offer basic financial services, including cash-in/cash-out, funds transfer, bill payments, airtime purchase and government payments. According to him, the central bank has done the right thing by making funds available at a rate that makes sense for a 10-year-plus investment for a company like ours to invest in agent networks. “Today, at Paga, we have 17,000-plus agents. We estimate at Paga, through our agents, we have already created over 10,000 jobs,” Oviosu says, indicating that the company could contribute 80,000 agents by 2020. “There is a lot of opportunity for entrepreneurs. All our agents are entrepreneurs. Imagine how many jobs would be created when you have 550,000 agents. The unemployment number would go down noticeably but that is not going to happen overnight. So, we are committed to this, and we think it is a very good policy by the central bank,” he adds. Under the SANEF initiative, the agents will also provide remote Bank Verification Number enrolment services. “Telecom companies have a role to play. The big role that they have to play is to make sure that the infrastructure exists. We need access to base stations across the country so that every Nigerian can buy the most basic mobile phone and get access to at least 2G,” Oviosu says. The Paga MD highlighted the need to provide mobile money wallets that could be used for a broad range of transactions in rural areas. He says, “To open a mobile money wallet, all you need is your name and phone number, and we are actually talking to the CBN to allow us be able to open mobile money wallets for people who do not have a phone number because not every Nigerian has a phone. According to the CBN, 58.4 per cent of the nation’s 96.4 million adults were financially served in 2016, compared to a target of 69.5 per cent – leaving 41.6 per cent (about 40.9 million adults) financially excluded. “We are very excited about the things that we are working on,” Oviosu says, adding that the company has struck partnerships with banks to expand its agent network. He says, “Secondly, we are working with the banks to come up with savings products to be offered on our platform so that people can access savings, eventually lending and, like I said, graduating to opening a full-fledged bank account through our platform.